When deciding on the best chew treats for puppies, there are a few things to consider. We’ve done some extensive research to put together this article to help you make the right choice when shopping for your own puppy chew treats. Puppy chew treats are great to have on hand and as well as being good nourishment for your puppy they also act as a great training tool. They can be used as a positive reinforcement, or “reward”, for good behavior. This lets your puppy know that he is doing something right and encourages good behavior. They can also help relieve boredom, aid in teething, and are great for your puppy’s dental health and for cleaning their teeth. Having puppy chew treats can come in handy for that part of your puppy’s life where they chew up almost anything in sight, from shoes to slippers to purses and sometimes even you. So don’t get mad at them, just accept the fact that it’s natural for all dogs to chew, from puppies to adults. You can use treats to train them by diverting their attention from chewing your stuff. Some chew treats can be hard on your puppy’s teeth and might hurt them, some can be difficult for your puppies to hold down when chewing, while others are made of low quality ingredients or won’t last as long as you want them to. It is important to check the ingredients used in making these treats to ensure they are safe for your puppy. If your puppy is allergic to specific ingredients in a treat you can avoid purchasing something they won’t be able to eat. It is best to go for treats that are made with more natural ingredients and also avoid those with excessive levels of fat or sodium as these may be dangerous for your dog. Getting chew treats that are too small can result in your dog choking. So, ensure you are getting ones that are appropriate for the size of your puppy. The right shape for your puppy’s treats will also ensure they don’t get stuck in between teeth or in the throat. Before choosing a chew treat for your puppy, make sure look at ones that are suitable for the age of your puppy. Not all treats are meant for all ages of dogs. Some can be too big or too small, too hard or too soft for pups depending on age. For small dogs and older dogs, softer, easier to chew treats are very important. Just as with us humans, weight issues can be a problem for a puppy as well. So check if the treat packaging gives a calorie count and ensure that it is not too high for your puppy. If you are going to feed your puppy treats regularly, make sure you are giving him enough exercise as well. This will be an important one. Does your puppy like the taste? If not, it doesn’t matter how healthy it is, your puppy won’t think it is a treat. It may take you a few purchases to find one your puppy prefers, but it will be worth the effort to find your pup’s favorite. Puppies can be energetic and stubborn and this means they can be really annoying, especially during training. Using good treats to reward them will make them remember their training and what follows good behavior. Yes, that’s right, a big tasty treat. 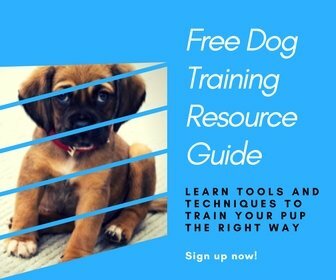 So always have some at hand when you plan on teaching your puppy a few tricks or good behavior. Some chew treats are made specifically to clean your dog’s teeth. These are known as “dental treats”. Bacteria and plaque can build up in their mouths and if left unattended, can turn to tartar quickly. This buildup can lead to painful, inflamed gums, and open the door to infection and periodontal disease. So can be easier to toss your pup a dental-cleaning treat than to convince him to let you brush his teeth. When you have visitors or you want to work and your pup keeps barking, begging, or jumping, you can distract him with a treat which may allow you to get on with what you were doing. You can also give your pup a treat to help form a positive reaction towards thunderstorms, fireworks, and other stressful situations. Same way some toys are designed to help teething dogs, there are some treats that are also made for puppies that have sore gums and need to chew. These types of treats last very long to keep your pup busy and to soothe painful gums and teeth. The first on our list is the Greenies Grain Free Dental Dog Treats. These come highly recommended by veterinarians and are accepted by the Veterinary Oral Health Council (VOHC). A treat with the Veterinary Oral Health Council’s seal of approval means it has been studied and proven to have some dental benefits. Packed with nutrients for your dog, these treats are made with natural ingredients for healthy teeth and gums. Made predominantly with pea flour and dried potato, they are also fortified with a variety of vitamins and minerals to aid your pup’s health. With these dental treats, you can also say goodbye to bad doggy breath because of its flavored spearmint breath freshening qualities. They are made with easily digestible ingredients that help fights plaque and tartar. They are also ideal for puppies with allergies to grains. We think they are well worth the money due to their ingredients and quality. The next on our list is the N-Bone Puppy Teething Ring. This is another great dental health treat that helps relieve teething pain in pups. It is easy for puppies to digest and is fortified with calcium to give your pup healthy teeth and bones. It is also fortified with DHA Omega 3 Fatty Acids to support a puppy’s unique nutritional needs. It is predominantly made up of rice flour, chicken, and oat fiber. N-Bone Puppy Teething Rings are made into an easy shape for clumsy puppy paws to hold onto while chewing. These delicious chicken flavored rings are safe for pups and won’t damage immature teeth. This treat makes puppies excited like you’ve never seen, and can keep them busy until there’s little or none left. They can chew on this treat anywhere from 10 minutes up to an hour. Even for bigger dog breeds, they are recommended. It can be a little stinky when your pup is chewing, but what’s a little smell compared to your puppy’s happiness and your freedom from his sharp razor teeth. Last but not the least is the Nylabone Healthy Edibles Treats. These are made in the USA by Nylabone, a great family company that has been making safe, healthy chewing products for dogs since 1955. It is made with wheat starch, so will not be suitable for pups who need to stay away from grains or gluten. It has no added salt, sugar, or artificial preservatives, colors, or flavors. This type of treat is suitable for puppies of 3 months and older that love to chew. It is budget friendly for those who are looking to save some money and at the same time purchase a healthy safe and appealing treat for your pup. Puppies love it because they taste really good and are easy to digest. With most puppies, this is an ideal treat for training as they are fairly small and will be consumed quickly so you can get on with further training. It is easy on puppy teeth and keeps them happy. As a new dog owner, you have a lot to consider when it comes to the wellbeing of your puppy. Puppy treats are essential to have on hand as they assist you in keeping your dog healthy, happy, and busy when you need some alone time. Always be careful when buying your pup’s treat, because there are many products out there that can be harmful to your pet. We like the GREENIES Grain Free Dental Dog Treats as they are tested and trusted by thousands of users and have the right ingredients to help your puppy grow stronger and healthier. With their minted and strong dental properties, they will leave your puppy happy and fresh all day. You should try a few different types of treats with your pup to find the ones he likes. And remember, you can also consult your veterinarian for recommendations on the best treats for your puppy’s gums and teeth. P.S. Help a friend with finding the best chew treats for puppies by pinning this!